The year 2018 marks the centennial since the death of four of Vienna’s greatest artists, the founders of the Vienna Secession. 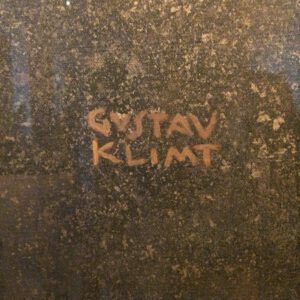 100 years ago in Vienna, the architect Otto Wagner and artists Gustav Klimt, Kolomar Moser and Egon Schiele, all died within a few months of each other. 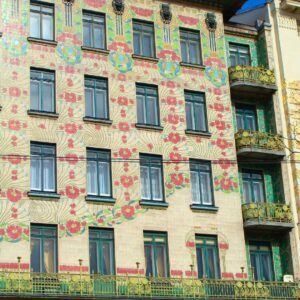 Their works shaped Secession, Viennese Art Nouveau and that explains why they remain unforgotten. They were leading lights in the revolutions in art, literature, architecture, psychology, philosophy and music that made the imperial city on the Danube the buzzing intellectual hub of the world at the time. That same year, with the end of World War I, the Habsburg empire disintegrated. A century later, the Viennese are commemorating that historic turning point with what promises to be an unprecedented series of exhibitions. Some museums have special exhibits to celebrate the 100th years of the death of such important figures of Vienna’s Art Nouveau movement: Leopold Museum, Belvedere Museum, Wien Museum, Museum of Applied Arts (MAK), Kunsthistorisches Museum. 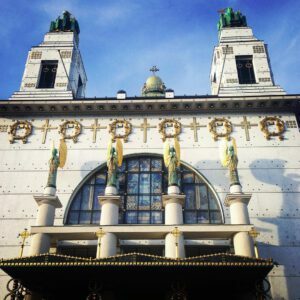 In Art Nouveau.Club to mark the 100th anniversary of the death of Otto Wagner we have launched new short specialised Art Nouveau private tours in Vienna. CLICK HERE FOR MORE INFORMATION ABOUT THESE EXCLUSIVE PRIVATE TOURS.